With Avalanche now reincarnated as Avalanche Gapinski at Waverley Mall I’ve been in every day this week as I find the only way to get a feel for a place and the customers is to be there. While the main purpose is to see which days and times are busy and what customers like to buy, being exposed to a constant flow of visitors is always a good way of seeing what they really think about Edinburgh. We’ve had mostly Italian visitors though also folk from France, Belgium, Holland and Norway. Of course I don’t question each customer on their nationality so it is a case of what crops up in conversation. One couple with a young son who turned out to be big Gerry Gapinski fans buying three T-shirts and a print were from just south of Venice so we had the usual conversation about how Venice is a lovely place to visit but not a great place to live in for several very obvious reasons. They also commented on how pleasant and easy Edinburgh was to walk around. On Thursday another couple from Verona with a grown-up son went out of their way to tell me what a fantastic place to visit Edinburgh was. They had loved all the closes and old buildings and again made the very same point about how easy and pleasant Edinburgh was to walk around. Maybe a slightly more surprising comment was how safe a city Edinburgh felt. They travelled widely, they said, and had never enjoyed themselves more. Sadly an Armstrong’s cardigan that the lady loved proved a little too big for her but they left saying Edinburgh was definitely a place they would return to. They asked if there was ever a bad time to visit and I suggested they might want to avoid August! Essentially nothing seems to have changed during my absence from the coalface of retail, with visitors regularly praising Edinburgh and if anything more so this time as they find all manner of things reasonably priced. Don’t get me wrong – from my time in the Grassmarket there were complaints but they were nearly always about how disappointing the Royal Mile and Princes Street were, with just the odd comment about rubbish needing removed. Confronted with such praise it does sometimes feel as if in some cases at least Edinburgh Council and the myriad of organisations that seem to have a say on all things city centre are trying to fix problems that don’t exist. A worrying trend now seems to be to say “ah but what if they were physically impaired in some way”. At the recent council meeting about the plans for the city centre it was said to be good news that ten per cent of all respondents claimed to have a disability. This just missed the entire point of having a valid survey. I’m assuming ten per cent of the population in general do not claim to have a disability so to have that response is to have a skewed set of results. Of course everything that can reasonably be done should be to make the city as easy as possible for everybody to get around but what is reasonable needs better discussion. 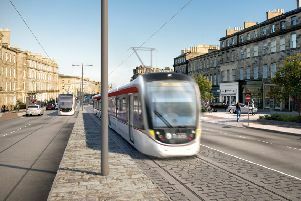 There is no doubt that more can be done to encourage visitors to walk around the city more widely and there are plenty of tweaks that could be done immediately and quickly to further improve the city centre for residents and visitors alike but better that than much grander plans that involve not doing anything at all just now. Clearly long-term planning is a sensible way forward in some instances but it would be great if it could be done in tandem with actually doing things now and maybe not seeing problems where they don’t exist. The Fat Cops album came out last week and I can’t recollect there ever being a supergroup of its type before. The only band member whose day job is music is Bobby Bluebell while the rest of the band consists of two journalists, a comedian, a doctor and an IT manager. For those not familiar with the band their drummer is Al Murray best known for his persona The Pub Landlord. 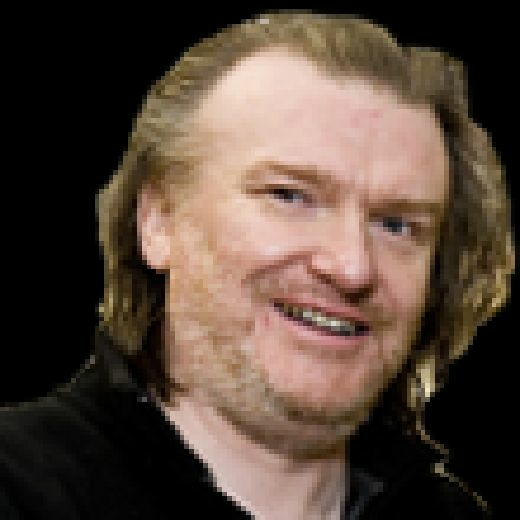 Both Chris Deerin on vocals and guitarist Euan McColm are journalists very active on Twitter and while Chris Ayre the bass player has to settle for IT manager I’m sure the keyboard playing doctor Neil Murray never tires of being called JK Rowling’s husband. That the album has been well received has surprised the band themselves, who understandably expected to be written off as a bunch of old men having one last hurrah. That recent gigs have been full of celebrities is not such a big surprise. Young at Heart indeed! Goodbye Mr Mackenzie have announced they will tour to support the thirtieth anniversary of their album Good Deeds and Dirty Rags while We Were Promised Jetpacks have announced they are touring the US and Europe to celebrate the tenth anniversary of their first album These Four Walls. While Goodbye Mr Mackenzie’s venture is a more modest tour taking in Glasgow, Aberdeen and two dates in Edinburgh, Glasgow and the first Edinburgh date are already sold out. Glasgow is the last date for the Jetpacks’ tour and isn’t until December but Edinburgh fans can catch them this August supporting Chvrches as part of the Summer Sessions in Princes Street Gardens. Rumours of a joint gig under the banner We Were Promised Mr Mackenzie are yet to be confirmed.